ENALA Ngulu was married to a man of 47 who had two other wives. She was 13-years-old. At a time when she should have been in school, she was forced to grapple with adult responsibilities like marriage and childbearing. At 15, Enala gave birth to her first child and subsequently had five more daughters. She now works for the Foundation for Community Support Services as a Field Officer in Karonga. But her education and career were not her only dreams and desires — she was also determined to keep all of her six daughters in school and not be forced into marriage. It is the resilience of women like Enala which inspires me to advocate on their behalf at the highest levels to ensure their stories are not forgotten. Women’s equality is a key source of a country’s economic growth but social perceptions and discriminatory laws continue to impede their full participation. This ugly reality inspired me to pursue a legal career and left me determined to help empower women and girls in every way possible. In 2003 I then chaired the Inter-Ministerial Group on Domestic Violence. Through its work we developed a multi-agency approach to deal with the pernicious nature of this crime. We introduced the Domestic Violence Crime and Victims Act and worked together with other government departments, local authorities and charities, and ultimately reduced domestic violence by 64 per cent while the cost of domestic violence dropped by £7.1 billion (RM37.81 billion) a year. Up until this point the issue was wrongly assumed by many to belong in the private sphere rather than to be tackled by governments. Three years ago, in 2016, when I became the first woman to whom 53 heads of government entrusted the responsibilities of Commonwealth secretary-general, I reaffirmed my commitment to women’s equality — an urgent priority for our member countries, as endorsed in the Commonwealth Charter. A 2016 World Bank Report found that 41 of the 46 Commonwealth countries studied had at least one law impeding women’s economic opportunities. Systematised legal inequalities such as these, based on gender, are barriers to full participation in society by women, and multiple detrimental effects ensue. Without official identification, a person can struggle to access financial services such as opening a bank account or obtaining a loan; social benefits including cash transfers; healthcare; education; political and legal rights such as voting, owning property or receiving an inheritance; and prevention of early and child marriage. Women empowerment is not a women’s issue; it is everyone’s issue. Investing in women means a future which is more inclusive, more fair, more prosperous and more secure. This means millions of promises, with each and every one of us committing to eliminating child marriages, to no more girls out of school, to removing barriers for women to own a business, and to tackling violence against women and girls. We need fully to accept the harsh reality of gender-based barriers to women’s equality and empowerment. These barriers for women and girls should not exist in 2019; yet harmful practices, discriminatory laws, domestic and sexual violence, cultural perceptions and lack of opportunities still remain. In fact one in three women will experience some kind of domestic violence in their lives. If a pandemic were to wreak the same levels of pain and suffering across the world, the international community would mobilise to eliminate it; so why are we not rallying to eradicate this scourge? We now have a plan based on empirical evidence to address unequal treatment of women with gender-responsive frameworks which will enable us to achieve women’s equality by 2030 — so we urge others to support us in every way possible. Commitment and action by businesses, institutions and individuals, alongside bold, collective action by our governments and development partners, will deepen the understanding and implementation of gender-sensitive policies and particularly strategies to achieve measurable goals for women leaders. The leaders of the many nations of our worldwide family have entrusted to me as Commonwealth Ssecretary-Ggeneral the tremendous task of coordinating greater global collaboration so that our 2.4 billion people can work together towards achieving a future in which every woman is able to realise her full potential with greater peace and prosperity in her community. Participants and speakers of the symposium held at Wisma Wanita yesterday. 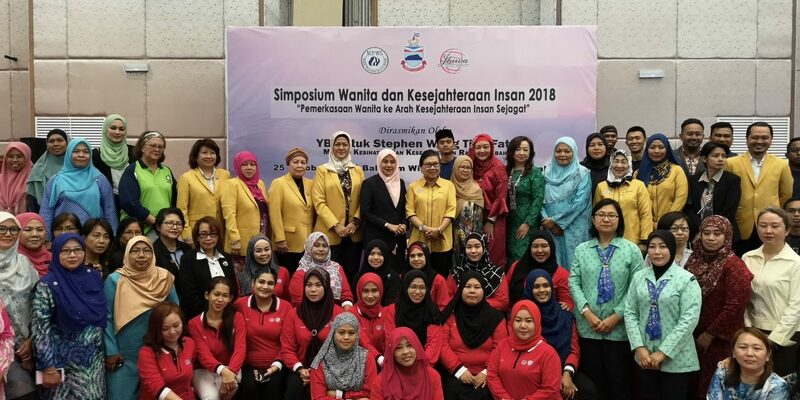 KOTA KINABALU: Women have the potential and qualifications to be at par with men, said Sabah Women Advisory Council chairperson Datuk Dr Tarsiah TZ Taman. She reminded that without women, the family institution would not function well, hence the need for programmes that would help raise the dignity and welfare of women in all aspects such as physical, economy, social, politics, health, psychology and spiritual. Tarsiah also stressed the importance of cooperation between women and men, stating that they need to go hand in hand to strengthen the family institution, organisations and develop the state and the country. She reminded that women were agents to the development of a harmonious and successful family and organization. Nevertheless, she also said that women must endeavor to look for their potentials and abilities. “Women must get to know themselves better and use their skills to raise their own respective socio-economy and status,” she said at the Women and Human Wellbeing Symposium 2018 held at Wisma Wanita yesterday. She also urged men to fight for the rights of women. At the same time, she hoped that women would continue being given the opportunities and space so that they can grow and contribute to the development of the state and the country. Meanwhile, Health and People’s Wellbeing Minister Datuk Stephen Wong said that women were no longer considered as the second line in developing the country. “The role of women is important and they go hand in hand with men,” he said. Stephen, who was represented by his assistant minister, Norazlinah Arif also stressed the importance of knowledge in raising ones’ awareness concerning their rights against discrimination. “I hope the symposium can open the minds of all parties on the issues of women at the present time and the challenges that stop them from moving forward,” he said. Stephen (fifth from right), Jannie (fourth from right) and Dr Tarsiah (sixth from right) flanked by the speakers and presenters at the Conference on Gender Inclusiveness and Equality. KOTA KINABALU: Health and People’s Wellbeing Minister Stephen Wong has promised the highest commitment to address the gender inclusiveness and equality issues in the State. “I believe gender perspectives have to be adopted in all development agendas,” he said at the closing ceremony of the Conference on Gender Inclusiveness and Equality held yesterday. He assured that he would bring matters related to women in decision making to the higher level meeting of the State. It was learnt that the Sabah government only had 10.6 percent women holding decision making positions last year. The media was also informed that only five to six women held important decision making posts at government-linked organisations in Sabah. According to Stephen, women should be given equal chance to excel. Meanwhile, Assistant Law and Natives Affairs Minister Jannie Lasimbang said that it was now time to allow women to hold the position of ketua kampung or village head in Sabah. She explained that the appointment of the respective village heads was under the prerogative of the state assemblymen/women. She added that the position was traditionally given to men. Sabah Women Advisory council chairperson Datuk Dr Tarsiah Taman said that the council hoped there would be a marked improvement in the near future for more women to hold decision making roles. Dr Tarsiah also said that the council had developed an interactive module to address the increasing rate of young marriages (18 years old and below). She cited that this was a first in Malaysia and with the collaboration of the Sabah Education Department, the council had conducted the training of trainers for 300 school counselors for schools within the vicinity of Kota Kinabalu. “In the next few months, we will be conducting an awareness and advocacy programmes among parents and community leaders in addressing these young marriages,” she said. She said that the council was also preparing an index on the wellbeing of women in Sabah, which is also a first in the country. KUALA LUMPUR: The Housing and Local Government Ministry will review the allocations for local councils which fail to have 30 per cent female representation among its councillors. Housing and Local Government Minister, Zuraida Kamaruddin, said this will be a new condition in the Local Councils Grading System, which is being fine-tuned and will be implemented in the next two years. “This is still at the discussion stage to ensure that all local councils have a 30 per cent female composition from its 24 councillors. Once this is implemented, if the councils fail to meet the requirement, the ministry will review their allocations. “I will further fine tune the conditions for all the local councils,” she told reporters after attending a Women’s Day 2018 event at the Dewan Perdana Felda here on Friday. Zuraidah, who is also Ampang member of parliament, said the requirement applies to all local councils nationwide, including those under opposition rule. She said that for now, women in local councils nationwide only make up an average of 14 per cent. We should perhaps explore more flexibility in how we employ women in the knowledge workforce in sectors such as academia as well as research and development fields. FOR the past year, news of rampant sexual harassment from the hills of Hollywood and the start-ups of Silicon Valley to the halls of academia have been making their rounds in the headlines. Although in some cases, the targets of the harassments were men, the majority were women. It seems that even the most prestigious of institutions have been affected. In fact, this year’s Nobel Prize for Literature has also been cancelled because of a sexual harassment and abuse scandal. Unfortunately, such incidents also occur in Malaysia as evident in some recent headlines. It is tragic that those in respected positions have abused their influence to adversely affect the careers of their subordinates when their role should have been as a mentor and not a predator. However, my intention is not to discuss such a bleak topic. What I would like to do is to focus on something that I hope is a cause for celebration; a lining of silver for the dark clouds that have gathered, perhaps a sign of better days to come. The rampant global sexual harassment in various sectors makes it clear that despite being important members of the workforce, women are still regarded as perhaps being out of place when in the work environment. In science and academia, the first female winner of the Nobel Prize was Marie Curie – who was awarded the honour in 1903, when the prize was only in its third edition. Marie’s daughter, Irene Joliot-Curie, was also awarded a Nobel in 1935 thus making them the only mother-daughter pair to have done so. With the capability of women in western science, one would have thought that they would be seen by their male peers as equals. Unfortunately, this is not always so. Many western institutions are still perceived to practise discrimination when it comes to salaries and leadership opportunities involving female academics. I used the word “perceived” not because I am ignoring that the problem exists, but because of the results reported by several studies in the United States. These studies have found that female scientists publish less in the top journals and are able to secure less top research funding and for these reasons, many of the institutions rationalise that they are therefore ranked lower in terms of merit and thus command lower salaries and leadership opportunities. However, none of these studies were able to determine why the merit and productivity of women academics are lower than those of their male colleagues. These studies do point out that there may be an element of unintentional gender discrimination at play as well; biases that are unconscious on the part of those committing them. Nevertheless, gender-based discrimination against female researchers does appear to exist. Throughout the world, female researchers are under-represented. However, the situation in Malaysia is quite different where almost half of all the researchers are female. The United Nations has acknowledged Malaysia to be a world leader in encouraging girls and women to participate in science. The percentage of Malaysian female researchers is higher than that of Singapore, Taiwan, South Korea, United Kingdom and Japan. 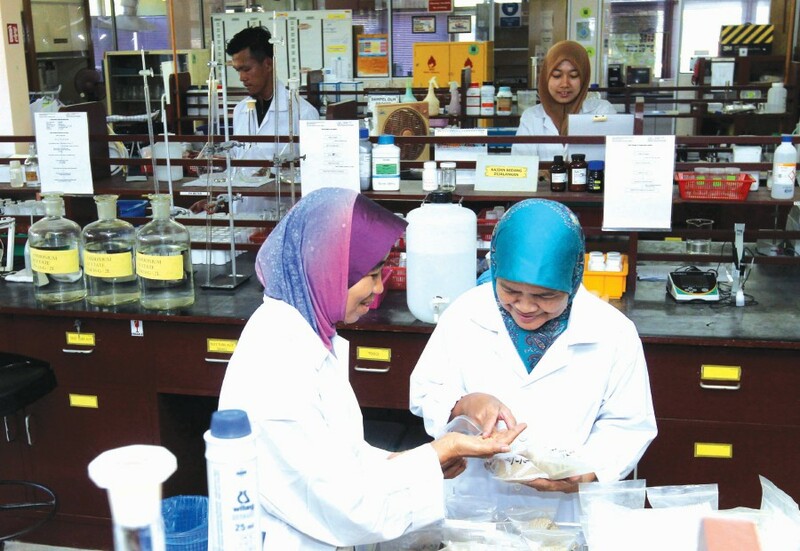 In general, most Malaysian researchers are from the government sector while many research institutions in the developed countries are privately run and at times operate independently from a centralised civil service system. To my knowledge, the Malaysian civil service in general does not practise salary discrimination nor does it implement a policy of opportunity discrimination save for a few select posts such as specific units in the military and perhaps posts such as the imams of mosques. Most Malaysian researchers are in the civil service, so the gender pay gap does not exist. So although we are doing something right, we need to improve existing practices. This is perhaps where we must tread carefully. I do not believe that merely calling for gender equality is the solution to the problem. Men and women are clearly different and by calling for equality, we are not appreciating the facts of their different roles in society. Men do not take maternity leave. However, gender equality implies that they should also be given at least equality in terms of paternity leave. Do men make better employees because they do not take months of paternity leave such as their female colleagues? Definitely not. But if policies and laws are in place to allow for very long paid maternity leaves, employers may unintentionally discriminate against women candidates simply because not all employers will be able to afford such an expense. Being able to afford is not necessarily only a context in the monetary sense. For example, several posts may be crucial that there must be redundancy in case of leave. If one post in a redundant pairing is already held by a female employee of child-bearing age, then the employer may intentionally discriminate against a female candidate of similar age by giving the vacant post to a possibly less qualified male candidate. Many female employees are mothers and wives for whom every day is an incredible juggling act to provide not only the best to their employers, but also to give the best attention, care and love to their families. At times, the policies in place do not allow for a suitable balance thus forcing a choice between work and the family. I suspect in such a situation, many will choose the family over work. The issues to contend with are clearly deeper than just gender equality. The current government is on the right track in trying to provide childcare facilities in government departments. But we must go beyond that. Mothers should be allowed extended maternity leave if desired to bond with their newborns. In such cases, how can employers retain them as contributing members of their respective organisations? At a time when the country requires all its professional and knowledge workers in the drive towards developed nation status, we definitely cannot afford the losses when these human capital decide to resign to become full-time mothers. We should perhaps explore more flexibility in how we employ women in the knowledge workforce in sectors such as academia as well as research and development (science, technology, engineering, mathematics) fields. For example, civil service salaries and employment contracts can perhaps be negotiated based on hours worked, not necessarily the standard five days or nine to five work-day. Other ways of financial compensation to consider are project- or milestone-based achievements. Extended maternity leave can perhaps be supplemented by work from home input. Return-to-work schemes should also be introduced for mothers who had opted for extended maternity and childcare leave. Obviously there are multiple factors that can even vary between individuals and therefore should not be generalised. THE formation of a parliamentary select committee is a promising move to reform Parliament. As you decide what parliamentary select committees (PSCs) to form, we urge you to establish a PSC on gender equality. The Pakatan Harapan manifesto includes a commitment to ensure “the legal system protects women’s rights and dignity”, including to “review all laws relating to gender equality to ensure that every woman enjoys legal equality”. Achieving this requires a review and reform of the legal system, which the PSC on gender equality would facilitate. 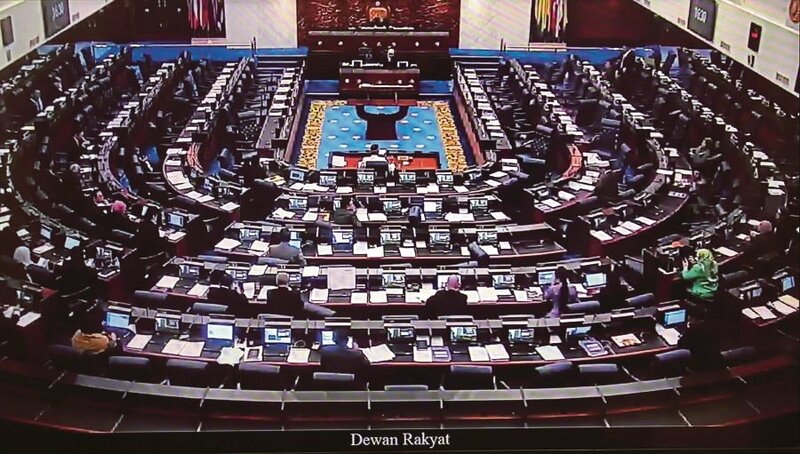 Forming a PSC would demonstrate Parliament’s commitment to gender equality, especially after the failure of government to fulfil its commitment to 30 per cent women representation, in cabinet and state assemblies, except eventually Selangor. The Manifesto Wanita, a civil society 14th General Election initiative, also demanded a PSC on gender equality. This manifesto was endorsed by 47 civil society organisations and 18 political candidates or politicians. The manifesto includes a promise to “make our human rights record respected by the world”. To improve, Cedaw informed the government about the “crucial role of the legislative power in ensuring the full implementation of the Convention (Cedaw)”, and urged Parliament to “take the necessary steps” to implement the observations. Forming a PSC on gender equality would demonstrate the new government is making efforts to meet Cedaw’s recommendations. Many other jurisdictions have parliamentary committees on gender equality and women’s rights. In the United Kingdom, the PSC for Women and Equalities examines legislation, policy, and expenditure of the government in relation to gender equality issues. The select committee can call upon experts and hold public conferences when investigating and auditing the government’s performance on these issues. Other examples of parliamentary committees on gender include the Committee on the Empowerment of Women (India), the House Standing Committee on Equal Opportunities for Men and Women (Cyprus), the Gender Equality Committee (Croatia), the Committee on Women’s Rights and Gender Equality (European Parliament), Senate Advisory Committee on Equal Opportunities for Women and Men (Belgium), and the Equity and Gender Committee (Mexico). THERE is much to be done in addressing the rights of women and children in Malaysia, especially where cultural issues and social dynamics are concerned. Education plays a key role in recognising those rights, not only through formal schooling but also by approaching communities at the grassroots. Shying away from the sensitivities of cultural norms would only result in the issue never being gripped, said British High Commissioner to Malaysia, Vicki Treadell. “Historically, perhaps we were less enlightened and perhaps we didn’t understand these issues in the way we do now. “But in a modern age, whilst the world progresses and we understand the consequences of the impact physically on a child, who can be damaged and have problems health-wise for the rest of their lives, how could we condone it? “However, these things can’t be rushed – you have to carry communities with you. In a way, one of our foreign policy priorities is to work on gender equality and women’s and children’s rights. That’s why it’s so important for us to understand how we deliver that aspect of our work in the environment that we can see,” she said. Speaking of a recent visit with the Sabah Women’s Action-Resources Group (SAWO), Treadell acknowledged the practices of more remote communities that make it a challenge to advocate for issues such as child marriage. There is still a challenge on women’s rights and having them understood, she said, and the difficulty of having them recognised as what they are. “These things begin with education and you have to look at a generational change and a shift. How do you begin that? One of the things we discussed was the access to education, which I know is a big challenge in remoter rural communities. “However, we also talked about education in a much broader sense – raising awareness of these issues and what is correct and incorrect behaviour and changing those cultural norms,” said Treadell. A bolder move would be to push for a gender equality act, which she opined the new government should push through to empower more women. Women’s rights should not be politicised because women are fundamentally 50 per cent of the global population and 50 per cent of the human capital, but Treadell maintained that legislation would greatly level the playing field. “The economic and political empowerment to women is transformational for societies and legislation helps drive the right behaviour and recognition of the equal rights of the women in our communities. “For a country to realise its potential, it’s women who must realise their potential. Their women must have respect in society,” she added. On the broader aspect of education, Treadell said the British High Commission was giving a particular emphasis on technical and vocational skills this year to recognise that on-the-job training could be equally beneficial to a university degree, especially when entering the workforce. This would also be a cultural challenge for Malaysia, she said, as it should be acknowledged that not every child needs to or should go to university. “Equipping children and youths with work experience, apprenticeships, technical and vocational training, is a wonderful route into a professional career. “We have worked with the previous government on this and we are reengaging with the new government on Technical and Vocational Education Training (TVET). 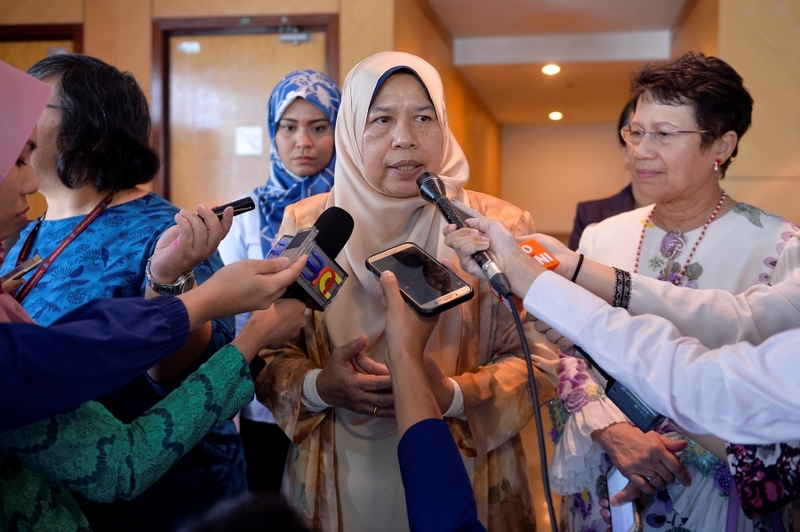 “We’re trying to help inform the work they will produce and the recommendations, and we stand ready with our different academic institutions and credited qualification bodies, to work with the Malaysian government to roll an even more enhanced TVET programme out across Malaysia,” she said. Treadell added that she had spoken to British companies in Malaysia that provided apprenticeships on how they might work with the government and build a relationship to offer on-the-job training, expressing confidence that other companies, whether foreign or local, would increasingly begin to do so. The British High Commission is ready to share experiences in the UK, she said, where apprenticeship programmes have been a phenomenal success. “It now transcends more traditional methods where apprenticeships were previously done in manufacturing companies. “Now, they can be done in professional services, banks and insurance companies, to name a few. There are now different routes into these professional careers. “Everyone is an individual, so how best will they learn? A degree may be the route, but not necessarily always. Working in an office, doing an apprenticeship and acquiring the knowledge as you work is another wonderful way to develop skills and competences,” she said. Another issue which requires a change in mindset and cultural behaviour is illegal wildlife trade, which Treadell noted with concern did not seem to be decreasing. Addressing it with consumers and customers of these products to change their attitude and opinion is a priority, in addition to law enforcement. “I think there is more consciousness in the younger generation. People under 30 are far more concerned about this and changing behaviour and practice. “Another way is to outlaw it. Once there is a law, if there are still people who participate in it, they can be penalised. “You have to work on attitude and culture, but laws are also important, because then it gives you the rule of law in due process. The previous government did not fare well in its review by the United Nations Committee on the Elimination of Discrimination against Women (Cedaw) earlier this year. In the previous Dewan Rakyat, a women’s parliamentary caucus existed , but it was established without a resolution by Parliament. THE JOINT ACTION GROUP FOR GENDER EQUALITY. WIDER AUDIENCE … Janie Lasimbang (sitting, centre) with the organiser and participants. KOTA KINABALU: Digital technologies expand with huge promises for women empowerment and strengthening the development of online entrepreneurship in Sabah. Assistant Minister of Law and Native Affairs, Janie Lasimbang said micro businesses are poised to become a major growth sector in the future. With that in mind, e-commerce marketplace can unlock growth opportunities for local sellers. “E-commerce can generate more potential female entrepreneurs and can assist them in challenging times, she said at the opening of a seminar held at the Kepayan Police Officers’ Mess yesterday. Janie Lasimbang who is also assemblywoman for Kapayan, said the modern way of interacting and dealing with trade is becoming increasingly complex regardless of place and time with sophisticated technology. Hence, she emphasized that the purpose of the seminar is a valuable opportunity and exposure to participants. The seminar is one such effort because it equips women with skills and knowledge in social media, which they might not otherwise have access to. “Also they will know better how to leverage the various online platforms makes good business sense and it provides access to an incredibly huge consumer base, and knowing how to utilise social media for business can help enhance women entrepreneurs’ business acumen as well as operations. This allows them to promote their products and services to a wider audience,” she said. Held for two days, the seminar was organized by Consumer Front of Sabah (Cfos) which brought together about 50 women entrepreneurs for. Topics focused on enhancing digital technology, in broadening entrepreneur’s ability to do business within the globe value chain. Its secretary-general Hashima Hasbullah Yahya said seminar was organised collaboratively by Pusat Khidmat DAP Penampang and Persatuan Keluarga Polis (PERKEP). The seminar aimed to help businesswomen to establish their brands and their online presence by setting up and maintaining active websites and social media accounts as well as online business etiquette. Women comprise only four per cent of the maritime workforce in Asia and the Middle East, compared with 51 per cent for OECD countries and 24 per cent for Europe. MARITIME shipping is an integral and vital part of the international trade chain and relies on various components for its smooth and safe functioning. However, the increasing shortage of maritime talent in both operational and leadership roles threatens the sustainability of the sector. The International Chamber of Shipping’s Manpower Report 2015 estimates a shortage of 147,500 qualified and competent seafarers by 2025. While women comprise 50 per cent of global talent, the International Transport Workers Federation estimates that they form only two per cent of the 1.25 million seafarers worldwide. Most women seafarers are employed in non-technical positions on passenger ships, while women shipmasters, chief engineers, and other officers are few. Due to it being a traditionally male-dominated sector, women are either unaware of the diverse and rewarding career prospects within the maritime sector or are discouraged from participating because of entrenched social and cultural biases against them in maritime careers as well as gender discrimination and sexual harassment. Shipping companies are also reluctant to employ female seafarers due to practical obstacles, superstitions, and the perception that they are not as capable as men in handling the rigours of the maritime world. With such obstacles, it is no wonder that women receive little or no support from family and society for a career at sea. The lack of women role models with long and successful maritime careers, in addition to inadequate access to maritime education and training, also make it more challenging for women to participate in the maritime sector, let alone strive towards leadership positions within it. For the past 30 years, the International Maritime Organisation’s (IMO) global programme on the Integration of Women in the Maritime Sector has worked to address these challenges. The programme focuses on improving access to maritime education and training for jobs at sea as well as careers in maritime administration, ports, and maritime training institutes. It also supports the establishment of regional associations for women in the maritime sector across Africa, Asia, the Caribbean, Latin America, the Middle East, and the Pacific Islands in creating a global platform to discuss gender issues, provide opportunities for mentoring, networking and continued professional development, as well as in spearheading the promotion of maritime careers at sea and onshore. Currently, women comprise only four per cent of the maritime workforce in Asia and the Middle East compared to 51 per cent for OECD countries and 24 per cent for Europe. The Marine Department Malaysia, with the support of the Ministry of Transport and the Maritime Institute of Malaysia, established the Women in Maritime Association (MyWIMA) in 2017 in response to the IMO’s call have stronger representation of women in the maritime sector in Asia. MyWIMA serves as the National Chapter of Women in Maritime Associations to implement the IMO Integration of Women in Maritime programme in Malaysia. It also collaborates with regional associations for women in maritime through Women in Maritime Association for Asia (WIMA-Asia). MyWIMA seeks to enhance the role of women in this sector by allowing greater access to a global network of support, sharing of experiences and expertise, and contribute to continued professional development. It serves as a vehicle to harness their collective expertise and experience in contributing to the formulation of more effective maritime policies and in promoting Malaysia as a maritime nation. MyWIMA is open to Malaysian women involved in the maritime and marine sectors and encourages their participation in areas such as the marine environment and resources, administration, training, and in regulatory and decision-making roles. Towards this end, MyWIMA will be hosting a Regional Conference on Women in Maritime Asia in Kuala Lumpur in November 2018. The conference aims to strengthen regional linkages among WIMA-Asia chapters and harmonise a regional work programme. It will be a platform for discussions on how women in maritime Asia can contribute towards better ocean governance in the region and globally. More importantly, the conference offers the opportunity for women in the maritime world to identify role models and to establish support networks that are essential for realising their full potential. MyWIMA, in collaboration with the Maritime Institute of Malaysia, is also developing a database of women in the maritime sector aimed at determining their demographics in the sector and in compiling a professional directory of women for promotion and networking. By Amy Aai Sheau Ye. You are currently browsing the archives for the Gender Gap category.